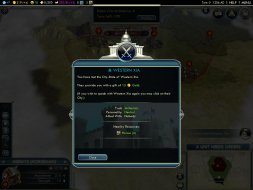 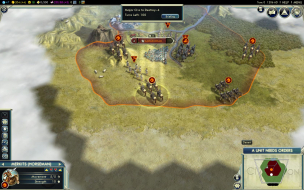 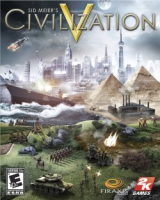 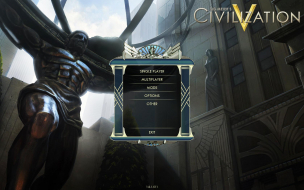 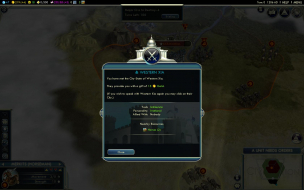 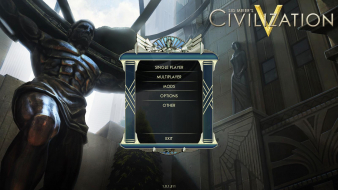 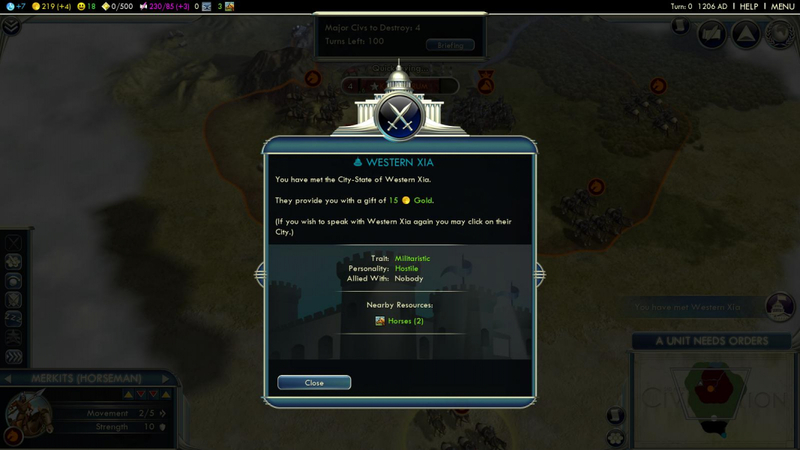 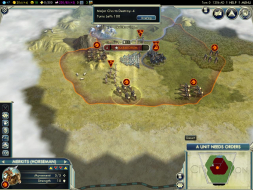 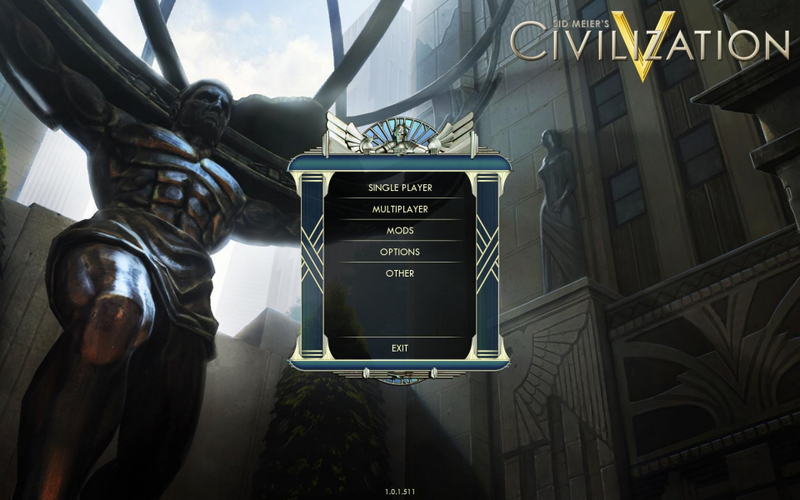 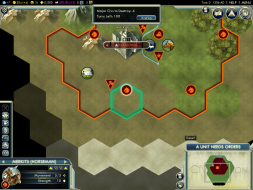 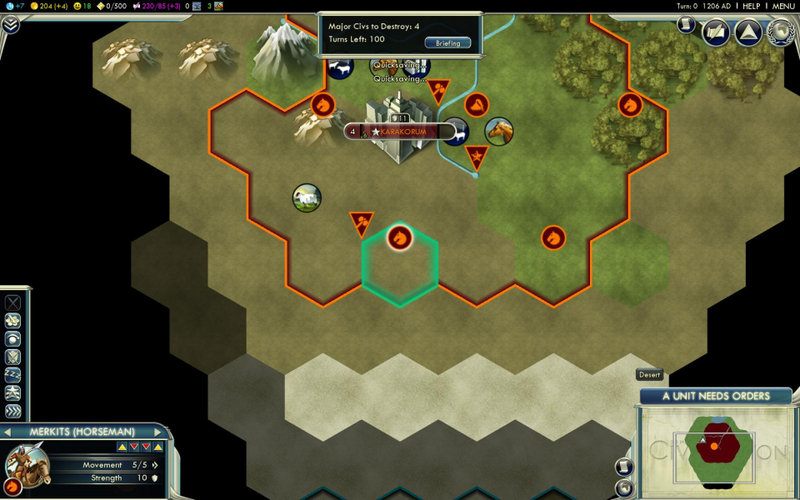 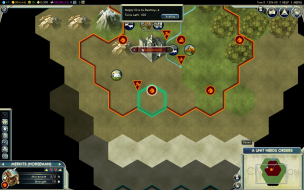 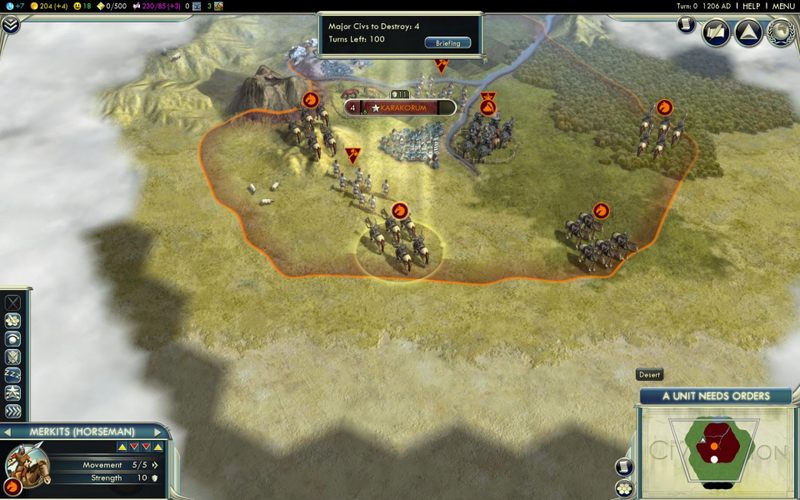 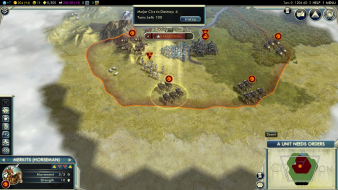 Civilization V is a turn-based 4X game developed by Fireaxis and released on Sept 21, 2010. 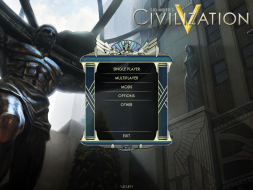 Much like previous Civilization titles, the aim is to create a civilization to face all challenges. 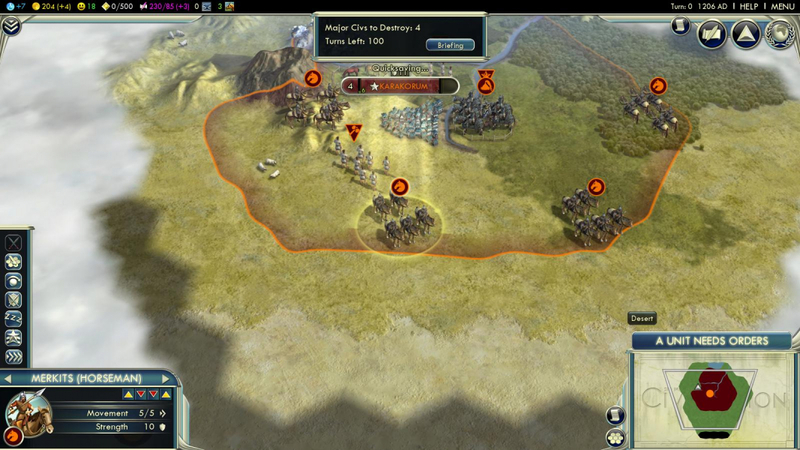 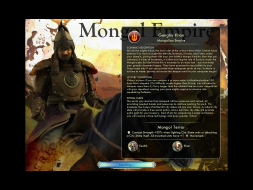 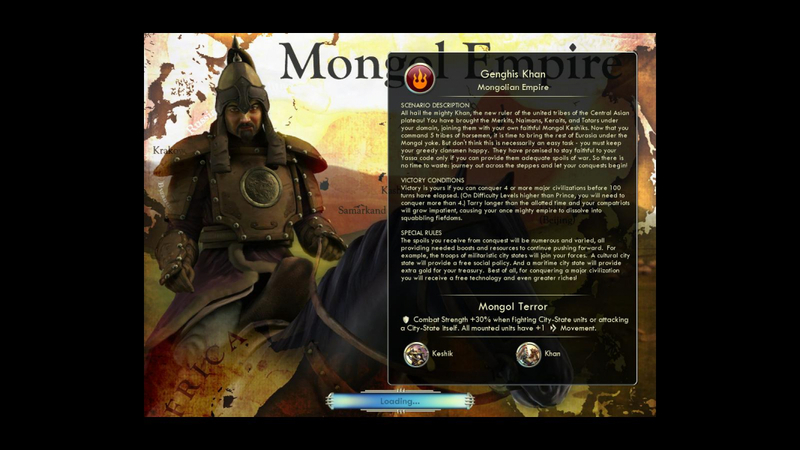 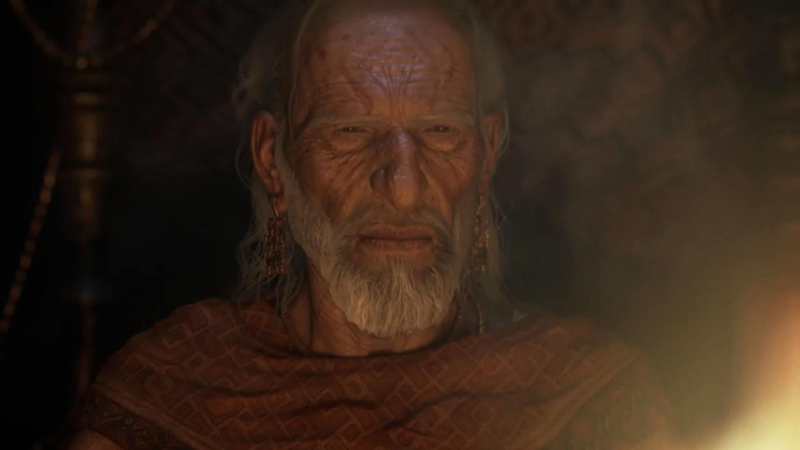 The player may opt for a strategic military campaign or a peaceful one based on diplomacy. 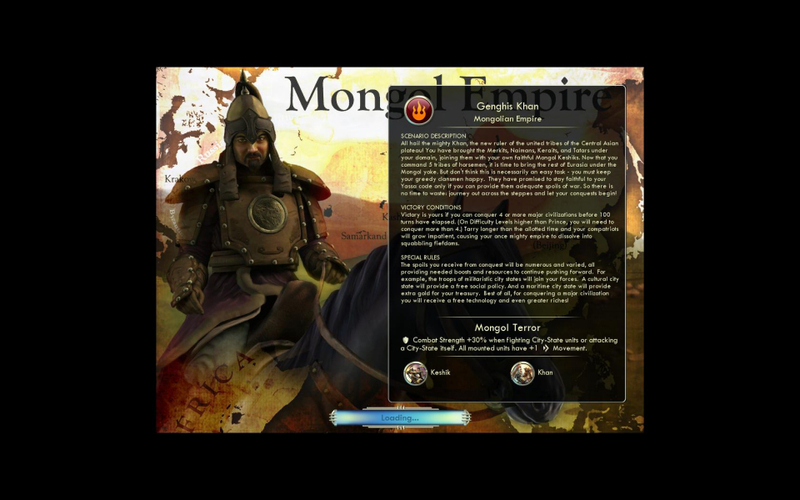 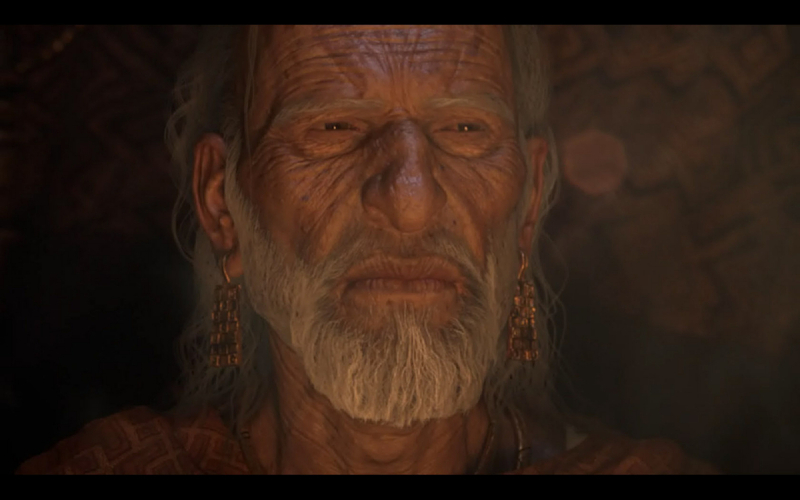 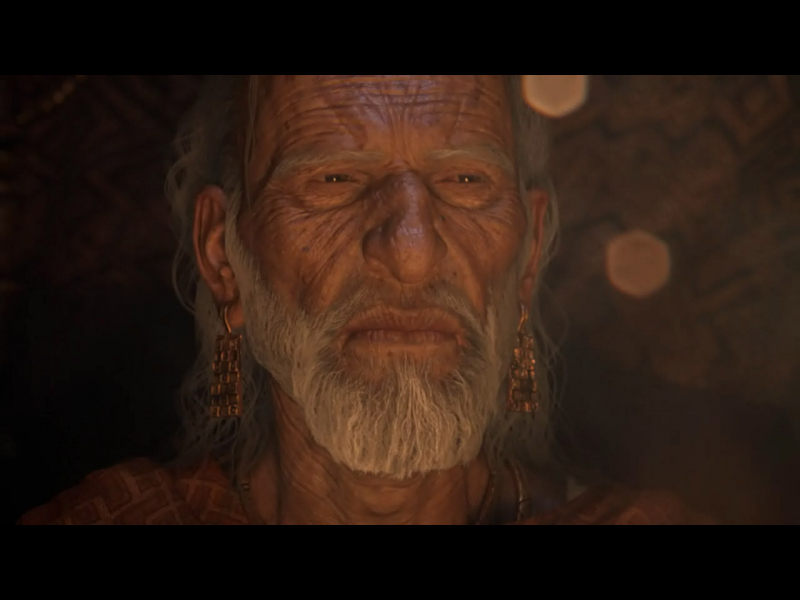 The game starts in prehistoric times and moves towards modern-day technologies as the game continues. The player must build cities as well as units with which to interact with the terrain and other civilizations. 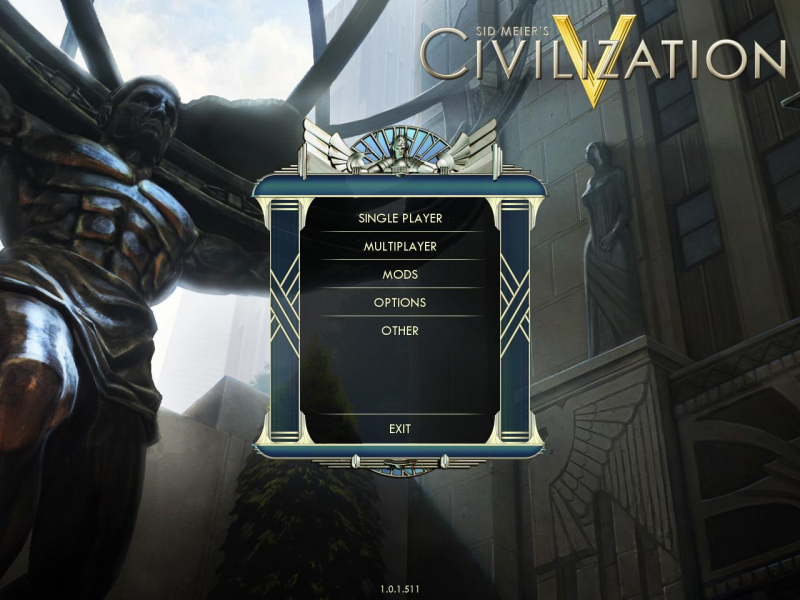 Screen change in widescreen is actually both Hor+ and Vert-, but as you are able to zoom in the window, it is extremely playable in widescreen. 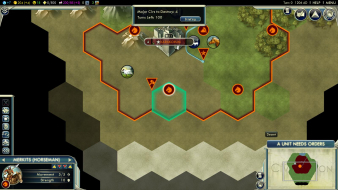 Native, both Hor+ and slightly Vert- as per widescreen. 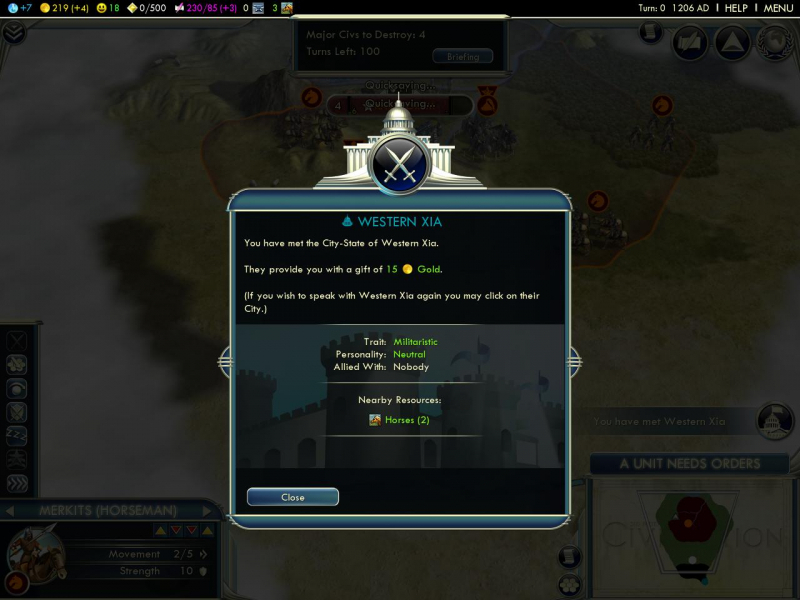 No problem as you can zoom in and out. 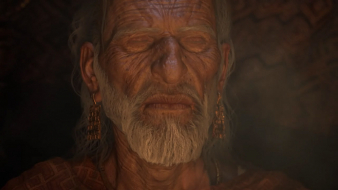 FMV when the game first loads does not display in Eyefinity, it is just a black screen with sounds. 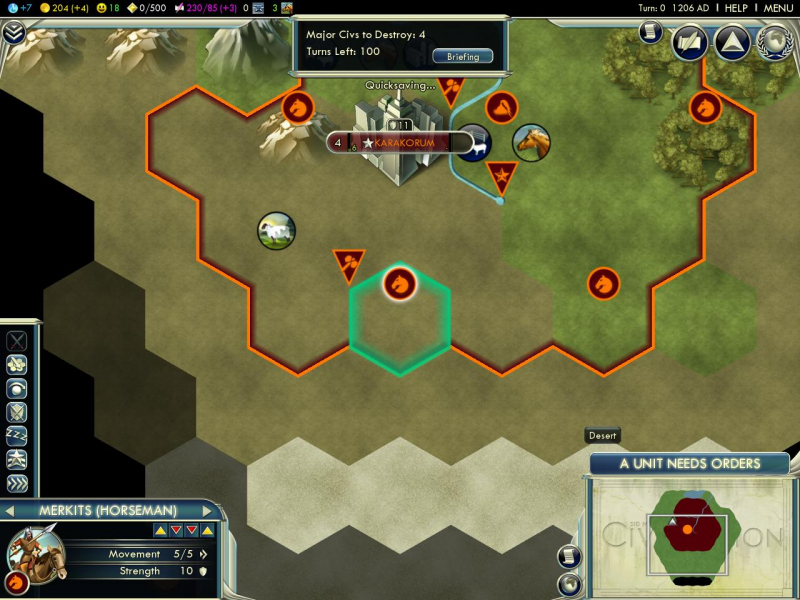 To navigate around the map, the primary method is to drag the mouse to the screen edges. Due to the edges of the screen being so wide in Eyefinity, this is a hassle, but you can use the arrow keys to get around this.